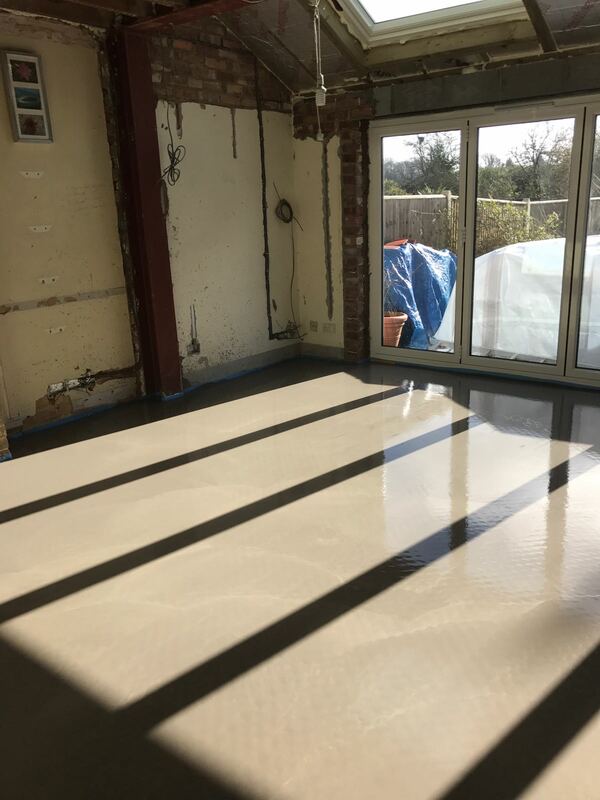 Liquid screed is fast application self levelling floor screed that is often used to cover underfloor heating pipework before the chosen flooring is fitted, it is the ideal floor levelling alternative to traditional cement screeds. It is quick to apply, requires less manual labour & can be walked upon 24-48 hours after application. Liquid screed also conducts heat more efficiently than cement screeds so is the perfect way to finish a floor that has underfloor heating. How is Liquid Screeding Done? 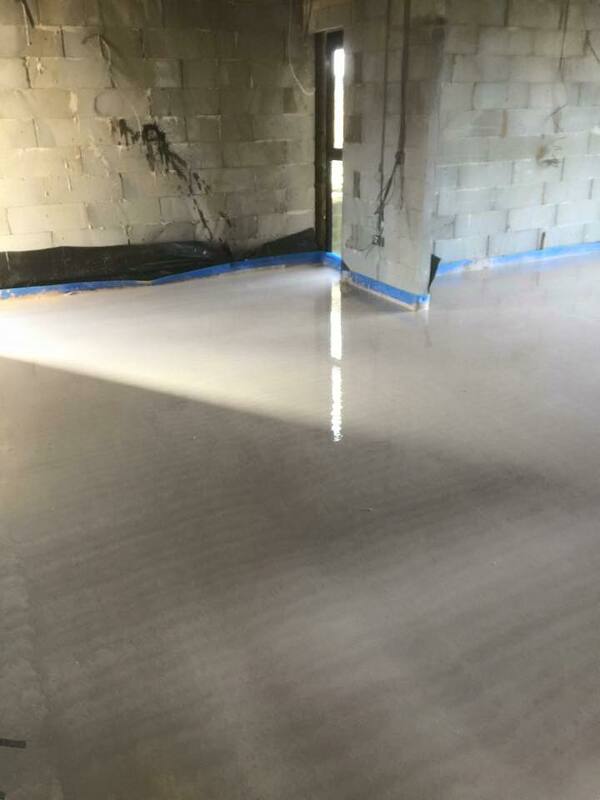 Liquid screed is pumped to a datum set by laser levels to ensure that the finish is level and achieves SR2. Flowing screed can be applied at a lesser depth than sand and cement, and can take foot traffic in 24 to 48 hours. The screed is pumped into place so there is less risk of damage from wheelbarrows and it is easier to place the screed on floors above ground level. 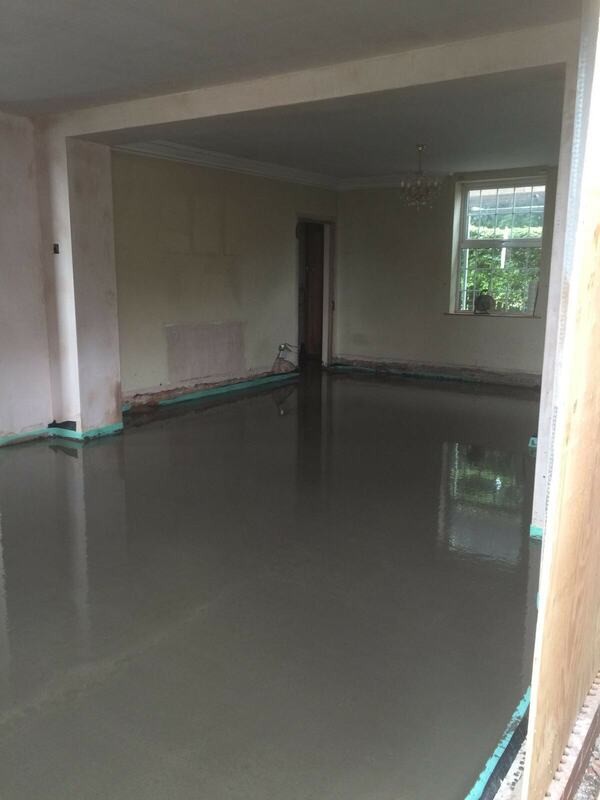 The liquid screed can be pumped in to the room early in the build process allowing a longer time for drying, enabling carpenters to fix against a finished floor screed level. A sand and cement mix is the traditional way to screed floors, and can be reinforced with Polypropylene Fibres (PPF).Unlike liquid screeds, sand and cement screed drying times vary according to weather conditions, screed depth and the mix used. Self-levelling screeds are applied in a liquid form which smoothes itself out over a given area. These quick-laying screeds are less labour intensive and offer faster drying times than alternative materials, which helps developers speed up the construction timetable. These protein-free formulations can be laid at reduced thicknesses compared to semi-dry screeds, which delivers reduced shrinkage, superior compressive strengths and impressive thermal conductivity in conjunction with underfloor heating. Not only do they meet the BS 8204-7 standard for screeds, but the fact that they are also free from Ordinary Portland Cement (OPC) helps to significantly reduce the carbon emissions generated by large-scale flooring projects. Self levelling and self compacting with very fast installation times! Fast drying screeds or ‘accelerated screeds’ are ideal for projects that have only a small window of time in which to complete the application, usually because the floor needs to be trafficked or overlaid quickly. 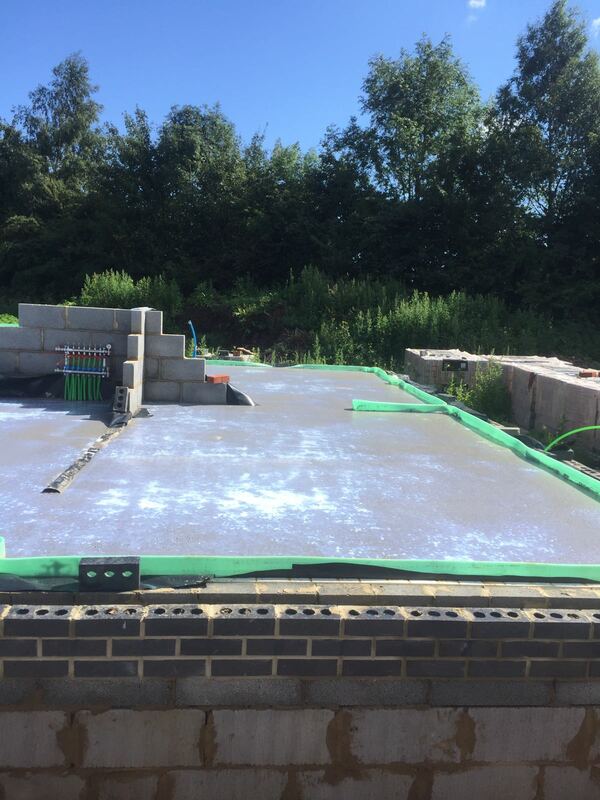 Fast drying screed normally consists of a specialist liquid hydraulic binder that is added to the screed mix or is provided as a pre bagged cement replacer. Both these types promote increased drying times. They also have the benefit of being stronger with higher compressive strengths. Another bonus with fast drying screeds is that you can ‘traffic’ them quicker without having to wait for 7 days. Ideal for projects with tight timescales! 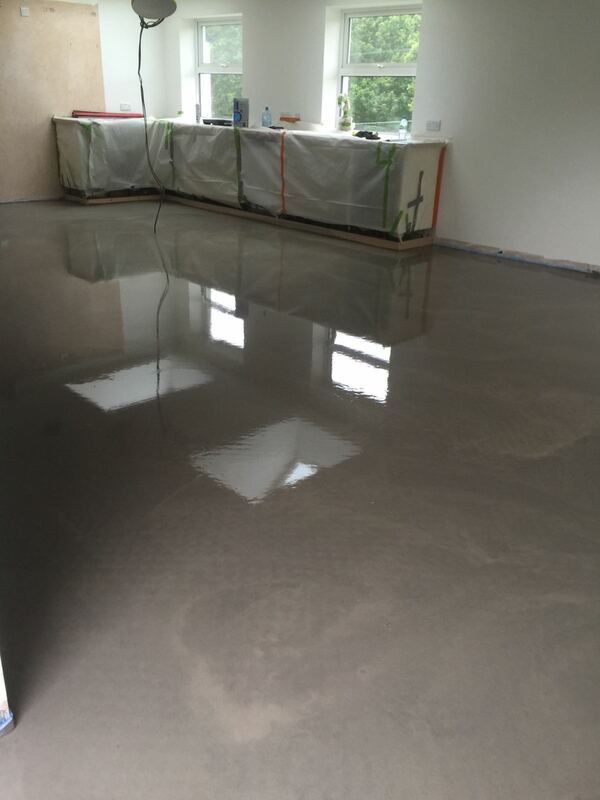 A pump applied, free flowing cement based screed that can be laid quickly, trafficked after just 24-48 hours and dries within 14-21 days. The Fast Drying Cement based Screed is a solution that provides you flexibility in installation and your overall build programme. The Fast Drying Cement based Screeds provides a smooth level surface in both domestic and commercial buildings prior to the application of floor finishes. Very fast to install, self levelling & self compacting! Our self-compacting, concrete screed is available in a variety of mixes, suitable for any strength and application. The concrete mixes can be produced with or without fibres and can easily have mesh reinforcement incorporated if required by the application. The properties of the concrete allow for a high surface tolerance with volumes of 100m³ per day comfortably achieved and laid. 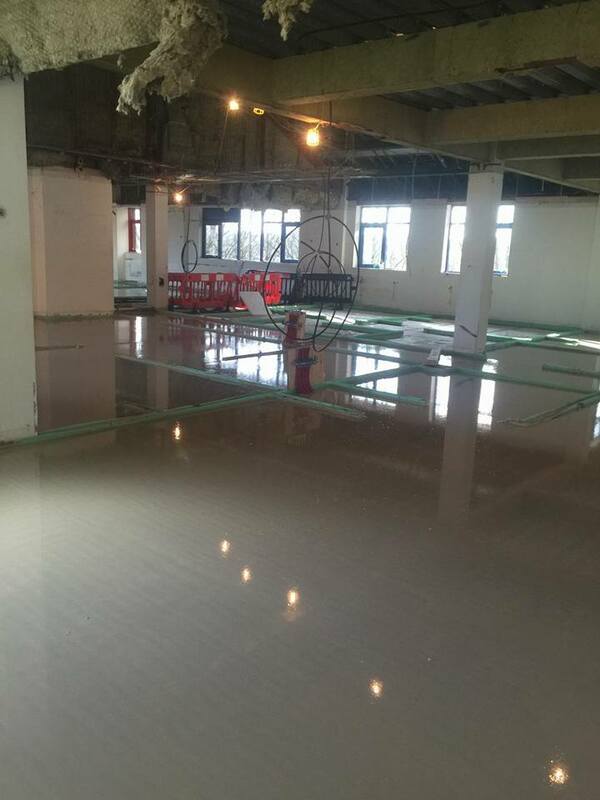 The concrete floor screed is laid using a traditional Boom Pump or Roline Pump from the Dragon Concrete Pumping fleet. Please don't hesitate to get in contact. Feel free to leave your phone number or address, so we can get in touch as quickly as possible.